Lion Air Flight 610 took off from Jakarta, Indonesia on Monday, October 29th, 2018, at 6:20AM local time. Its destination was Pangkal Pinang, the largest city of Indonesia’s Bangka Belitung Islands. Twelve minutes after takeoff, the plane crashed into the Java Sea, killing all 189 passengers and crew. Nearly five months later, Ethiopian Airlines Flight 302 took off from Addis Ababa, Ethiopia on Sunday, March 10th, 2019, at 8:38AM local time. Its destination was Nairobi, Kenya. 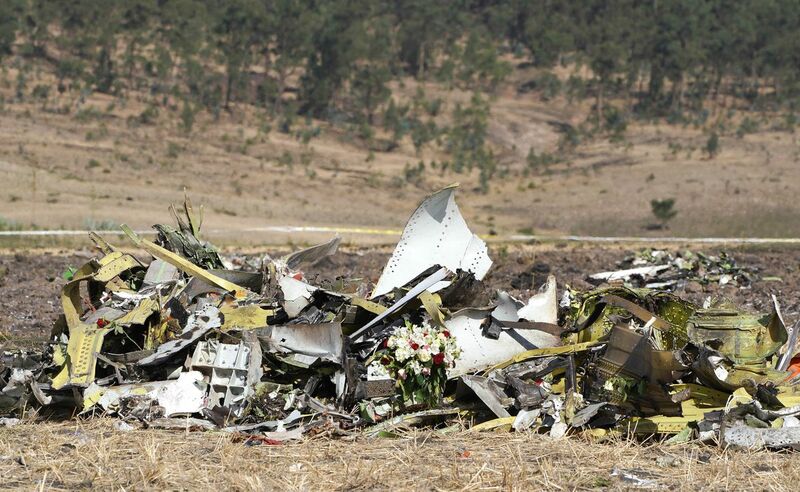 Six minutes after takeoff, the plane crashed near the town of Bishoftu, Ethiopia, killing all 157 people aboard. Both crashed jets were Boeing 737 Max 8s, a variant of the best-selling aircraft in history. When Airbus announced in 2010 it would make a new fuel-efficient and cost-effective plane, Boeing rushed to get out its own version. That version was the 737 Max airplanes. The Air Current has a great (if slightly insider-y) retelling of the Max jets’ origins. The Indonesian rescue team located the flight data recorder on November 1st. The cockpit voice recorder was found over two months later, on January 14th, 2019. One member of the volunteer rescue team died during recovery operations. Both the cockpit voice recorder and the flight data recorder of Ethiopian Airlines 302 were recovered from the crash site on March 11th. Both crashes are currently under investigation. These are the only two accidents involving the new Boeing 737 Max series of aircraft, which was first introduced in 2017. Since the crash of Ethiopian Airlines 302, more than 300 Boeing 737 Max passenger jets have been grounded worldwide. Boeing maintains that the new, more fuel efficient Max jets are safe, but supports the FAA’s decision to ground the planes. The Chicago-based company has stopped delivery of all new Max jets to its customers. Stock losses have wiped around $28 billion from its market value since the Ethiopian Airlines crash. Both crashes are currently under investigation, and there is no final word on what caused either tragedy. But investigators are focused on a specific tech feature that may have forced both planes into a nosedive seconds before the crashes. A preliminary report from Indonesian investigators indicates that Lion Air 610 crashed because a faulty sensor erroneously reported that the airplane was stalling. The false report triggered an automated system known as the Maneuvering Characteristics Augmentation System, or MCAS. This system tried to point the aircraft’s nose down so that it could gain enough speed to fly safely. MCAS takes readings from two sensors that determine how much the plane’s nose is pointing up or down relative to oncoming airflow. When MCAS detects that the plane is pointing up at a dangerous angle, it can automatically push down the nose of the plane in an effort to prevent the plane from stalling. Boeing says the decision to include this change to the flight control operations wasn’t arbitrary. When the company designed the Max jets, it made the engines larger to increase fuel efficiency, and positioned them slightly forward and higher up on the plane’s wings. These tweaks changed how the jet handled in certain situations. The relocated engines caused the jet’s nose to pitch skyward. To compensate, Boeing added a computerized system called MCAS to prevent the plane’s nose from getting too high and causing a stall. MCAS is unique to the Max jets, and isn’t present in other Boeing 737s. The Air Current has a great illustration of how MCAS works here. And The New York Times has a video that explains how MCAS is supposed to work. 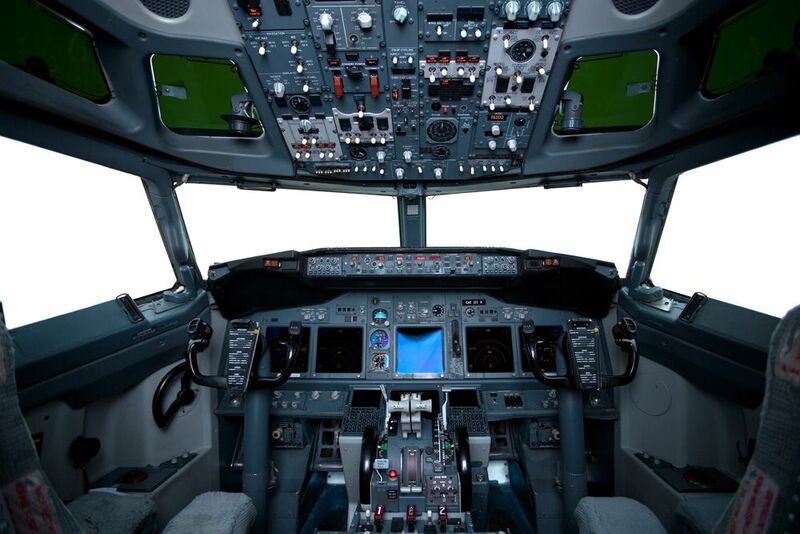 WERE PILOTS GIVEN ADEQUATE TRAINING? Short answer: no. When the Max jet was under development, regulators determined that pilots could fly the planes without extensive retraining because they were essentially the same as previous generations, according to The New York Times. This saved Boeing a lot of money on extra training, which aided the company in its competition with Airbus to introduce newer, more fuel-efficient airplanes. The FAA didn’t change those rules after Lion Air 610 crashed. So rather than hours-long training sessions in giant, multimillion-dollar simulators, many pilots instead learned about the 737’s new features on an iPad. Pilots at United Airlines put together a 13-page guide to the 737 Max, which did not mention the MCAS. According to Reuters, the doomed Lion Air cockpit voice recorder revealed how pilots scoured a manual in a losing battle to figure out why they were hurtling down to sea. Since the crash of Ethiopian Airlines 302, that’s mostly changed. On Sunday, March 17th, Muilenburg issued a statement describing steps the company was taking to update its technology. “While investigators continue to work to establish definitive conclusions, Boeing is finalizing its development of a previously-announced software update and pilot training revision that will address the MCAS flight control law’s behavior in response to erroneous sensor inputs,” Muilenburg said. The approval process for Boeing’s Max jetliners was rushed and possibly compromised, according to a blockbuster report in The Seattle Times. Reporter Dominic Gates found that FAA managers pushed the agency’s engineers to delegate safety assessments to Boeing and to speedily approve the resulting analysis. Under pressure to approve its new Max jets so it could catch up to Airbus, Boeing turned in a safety assessment to the FAA that was riddled with errors, the Times reported. The Department of Transportation’s inspector general is probing the FAA’s approval of the Max jets. The DOT’s investigation is focused on the FAA’s Seattle office, which certifies the safety of new aircraft. A subpoena seeking documents from the office, including emails, correspondence, and other messages has been issued, The Wall Street Journal reports. The FBI is joining the mix of agencies investigating the crashes and their aftermath. According to The Seattle Times, the agency will lend its considerable resources to DOT agents probing the FAA’s certification of the Max jets. The crash investigations are still ongoing. We have yet to hear any information from Ethiopian Airlines 302’s black box beyond initial (and vague) reports about similarities to Lion Air 610. More details should emerge soon. The US Senate will convene a hearing on the FAA’s certification of Boeing 737 Max jets on March 27th, Reuters reports. Boeing executives and officials from the FAA will be called to testify at the first congressional hearing on the twin crashes. They will likely be asked why the regulator agreed to certify the Max planes in 2017 without requiring extensive additional pilot training.